Having to manage a small kitchen with outdated features can make things difficult for you and your family on a daily basis. Preparing breakfast and getting ready for school or work can be more stressful if you have little space with which to work. Avoid the frustrations of having to scramble during your morning routine or having little room for meal preparation with comprehensive kitchen remodeling in Feasterville, PA. Turn to our specialists to increase the appeal of your kitchen and create a cooking space that meets the demands of your household. Instead of settling for a congested, old-fashioned kitchen with diminished features, reimagine its beauty and recreate its functionality when you turn to our skilled remodeling contractors. We’re prepared to take your kitchen design to the next level with intuitively designed kitchen cabinets, countertops, backsplashes, and much more. Are your current countertops just not cutting it? Take your kitchen design to new heights when you invest in new, high-performance kitchen countertops. Part of any well-designed kitchen, you need countertops that can withstand the rigors of meal preparation, entertaining, and family meetings. When you wish to fit your kitchen with a stylish surface that’s equally attractive and durable, look to our full-service remodeling team. At our showroom, we carry a vast array of premium kitchen countertops that are sure to compliment your space and stand up to the cooking demands of your household. Allow us to help you choose from our spectacular selection of solid surfaces to get a new living surface you can truly be proud of. Backsplashes present a unique opportunity for homeowners to express their sense of style. Keeping this in mind, our remodeling team is proud to offer a plethora of kitchen backsplashes in various shapes, sizes, and colors. Draw inspiration from our teeming wall tile palette and create a look that’s all its own. When you browse our selection of backsplashes, you are sure to find a choice that speaks to your tastes and preferences. 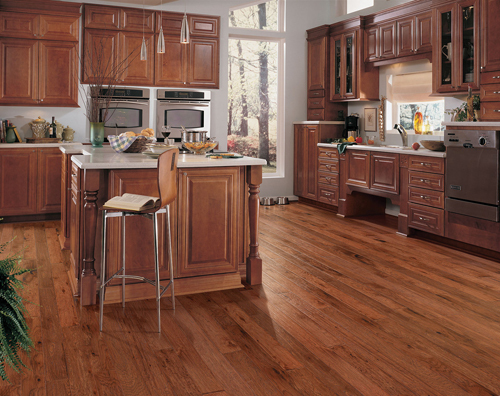 Once you’ve found a selection that’s truly you, add it to your space to put the finishing artistic touches on your kitchen remodeling project. Let our experts provide you with an intuitive kitchen design that can handle all of your cooking and entertainment needs. Whether we’re installing backsplashes, new counters, or improving your cabinetry, we’ll ensure that every element fits together seamlessly. Put your needs in our hands and you’ll be sure to enjoy all of the benefits of a comfortable, modernized kitchen for years to come. Contact us to turn your outdated kitchen into a beautiful, practical cooking space. We proudly serve homeowners in Feasterville, Holland, Southampton, Warminster, and Willow Grove, Pennsylvania.